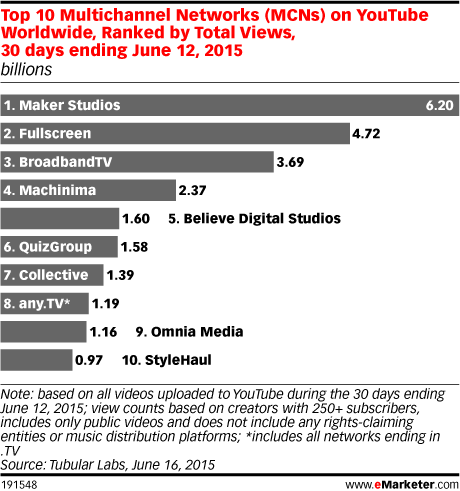 Data is from a June 2015 Tubular Labs report. Tubular Labs' Video Intelligence Platform analyzes the engagement of over 290 million viewers and tracks 1.2 billion videos across 30+ platforms, including AOL, Facebook, Instagram, Twitter, Vine, Yahoo and YouTube. Tubular data is cross-platform, global, and all-device. The information presented is based on data from the past 30 days ending June 12, 2015. Tubular Labs is an analytics company focused on tracking video insights.